Chase Fire Proudly Sells, Installs and Services Oval Fire Extinguishers in all of New York and the surrounding areas. 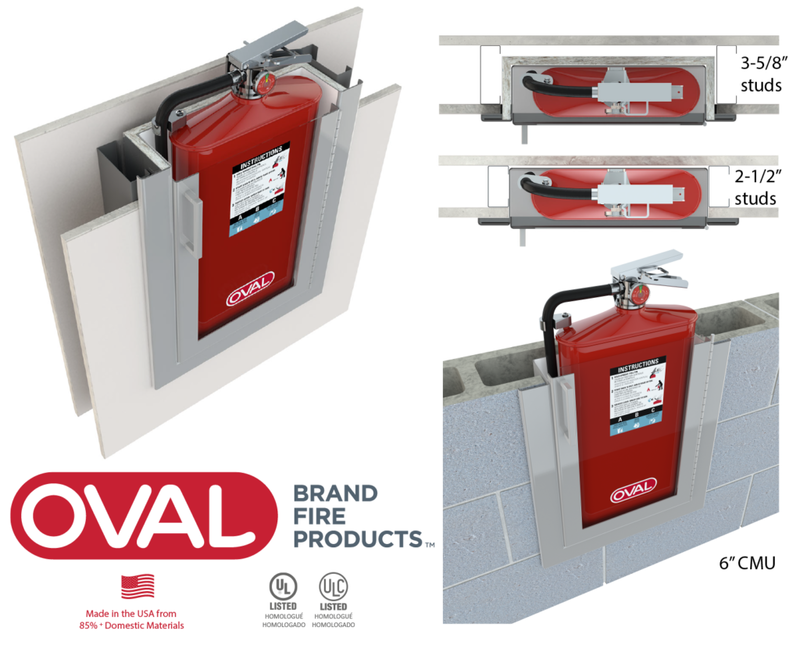 The Oval Fire Extinguisher is always compliant with the ADA requirements for protruding objects when installed in accordance with NFPA 10. It also complies with the protruding object requirements as listed in AODA, ANSI A117.1 and ISO 21542. 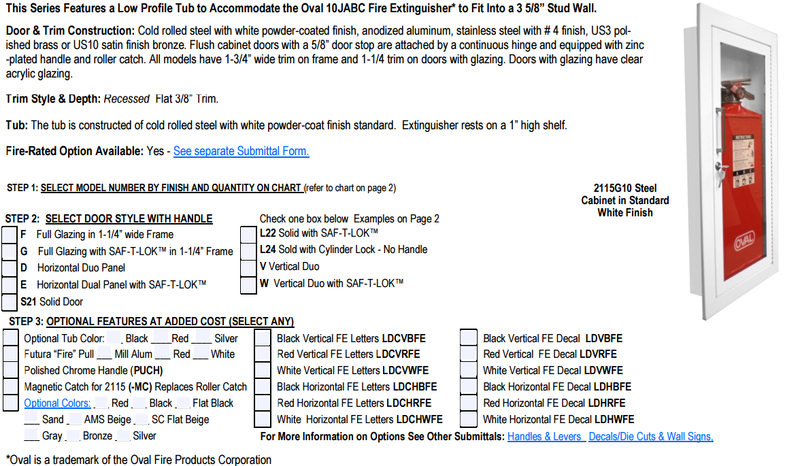 Because of the unique shape and shallow depth of the Oval fire extinguisher, a recessed cabinet is not needed to comply with ADA, AODA, ANSI, ICC, and ISO protruding object limits. 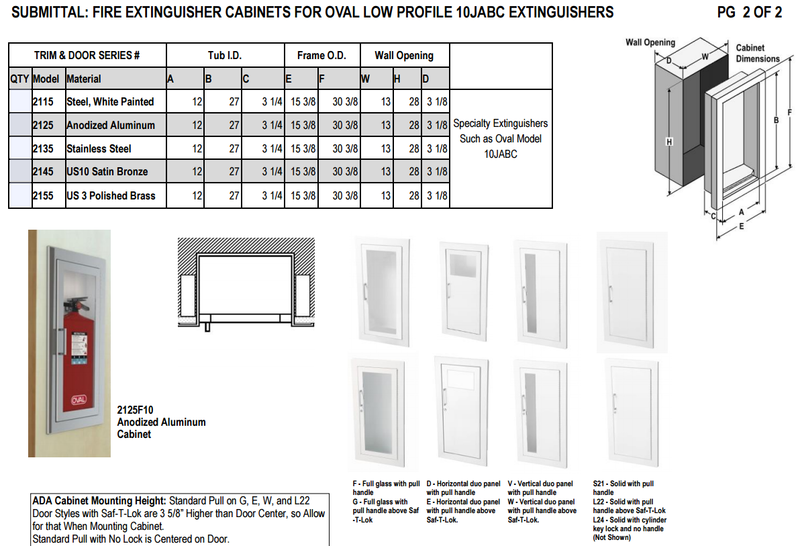 However if cabinets are desired, JL Industries is Oval’s preferred cabinet manufacturer. Choose any 12 inch width x 27 inch height cabinet from the JL Industries catalog and ask for the “Oval” option. 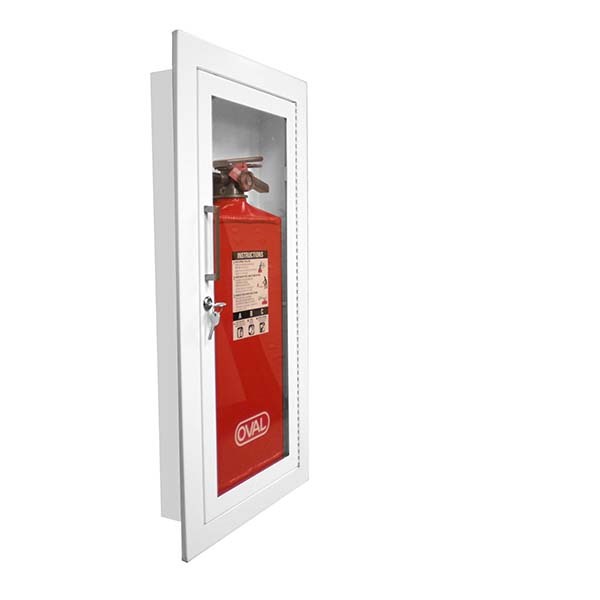 Thicker walls are no longer needed with the Oval fire extinguisher. 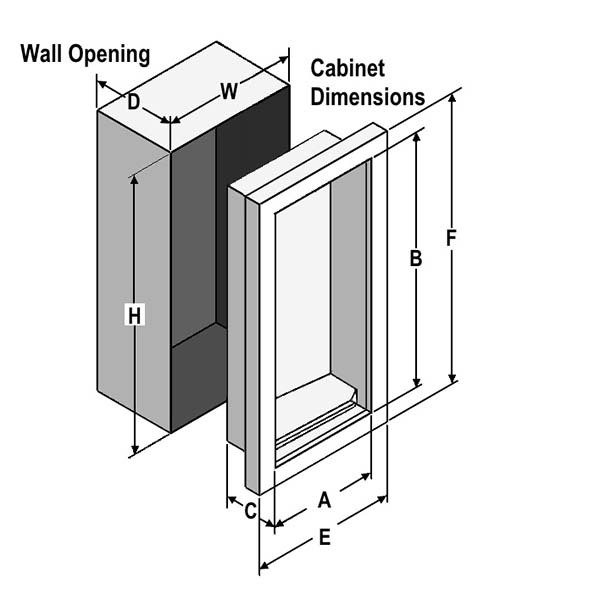 Fully recessed cabinets can now be installed into as narrow as 2-1/2 inch studded wall assemblies. Saves cost on construction and real estate. Chase Fire is New York’s Chosen Distributor of Oval Fire Extinguishers. We offer reliable installation, sales and servicing. This Oval Series features a low profile tub to accommodate Oval Brand model 10JABC to fit Into a 3 5/8” stud wall and meet the ADA 4” maximum requirement for protruding objects. Trim Style and Depth: Recessed - 3/8" flat trim with 1 3/4" face trim on frame and 1 1/4" trim on door.Tub: The extinguisher rests on a 1” high shelf.